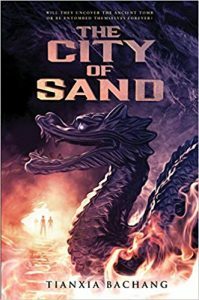 The City of Sand, Tianxia Bachang (Delacorte 978-0-553-52410-9 $17.99, 243pp, tp) November 2017. 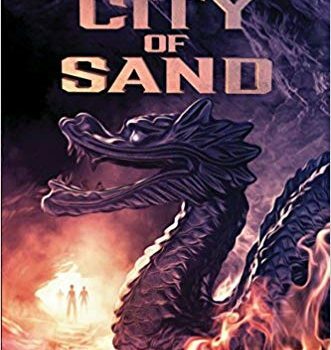 For readers looking for a full-tilt adventure with a side order of the supernatural, Chi­nese author Tianxia Bachang has all they could want with The City of Sand. The novel starts with a bang as teenage “gold hunters” Tianyi and Kai awaken a very angry spirit while looking for treasure inside a grave. 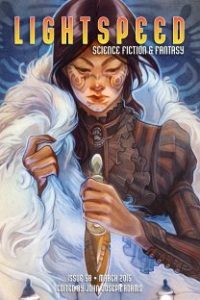 Their Indiana Jones bonafides firmly established, the author then sets the narrative on its primary course: an expedition into the dangerous Taklamakan Desert to find a lost city and the archeologists who went missing in search of it. The sheer joy that Bachang must have had writ­ing this book is evident in every dangerous situa­tion he drops his characters into. They nearly die in sandstorm then nearly die from deadly snakes. They find some bodies and wonder how those guys did die. They find a long-hidden grave, but not the one they are looking for. Then, in Jingjue City, everything goes to hell in a handbasket as it always does when the grave of a powerful king/queen, etc. is disturbed AND SO MANY THINGS HAPPEN. Tianyi is smart, Kai is bold, and Julie is determined. And it all works out in the end, except for the folks who make up the body count. You’ve never had to worry where your next meal was coming from. So you don’t understand anything about our lives, the circumstances we grew up in, and you don’t have the right to judge us. And don’t bother telling us how to live. Poor people don’t live, we only survive. Julie isn’t cruel, just a bit insufferable, but it’s a telling moment in the book as Kai makes clear just how great the gulf is between them. This cements his and Tianyi’s outsider status which stays firm until the last, barely-getting-out-alive turn of the page. With a sequel due in fall 2018 (The Dragon Ridge Tombs), there is plenty more ahead for these two friends and I’m sure that adventure readers are going to enjoy all Bachang offers up.